Gascoignes Commercial Offices to let and for sale | Unit 3 Riverview, Walnut Tree Park, Guildford. GU1 4UX. The premises comprise the 1st floor of 3 Riverview, an attractive two storey modern office development providing a variety of units each with designated car parking, and is arranged to provide open plan offices, a small tea-station, air handling and window blinds. The premises are ready for immediate occupation. To the outside there is designated car parking for two cars. 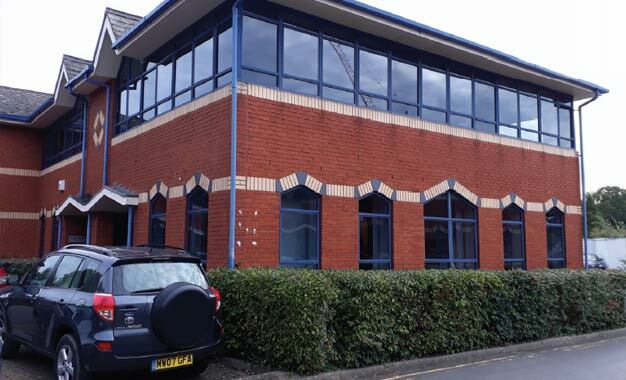 The premises are situated close to the River Wey on this well-established office park located approximately half a mile from Guildford Town Centre. Guildford mainline railway station is within walking distance and provides a regular service to London (Waterloo) in approximately 30 minutes. There is excellent access to the A3 (London to Portsmouth Road) with access southbound at approximately a quarter of a mile and northbound at approximately three quarters of a mile with the M25 (junction 10) some 6 miles distant. Unit 3 Riverview, Walnut Tree Park, Guildford. GU1 4UX.